When approaching the self-proclaimed Master of the Deal, it’s best to offer him a chance to play dealmaker. That’s what Congressman Peter Welch (D-Vt.) took away from a Wednesday meeting with President Donald Trump. The subject: a bill championed by Welch and Congressman Elijah Cummings (D-Md.) that would allow the federal government to negotiate lower drug prices for the Medicare program, which is currently forbidden by federal law. The Oval Office sit-down included Welch, Cummings, and Dr. Redonda Miller, president of the Johns Hopkins Hospital, as well as Health and Human Services Secretary Tom Price, a former Georgia congressman. 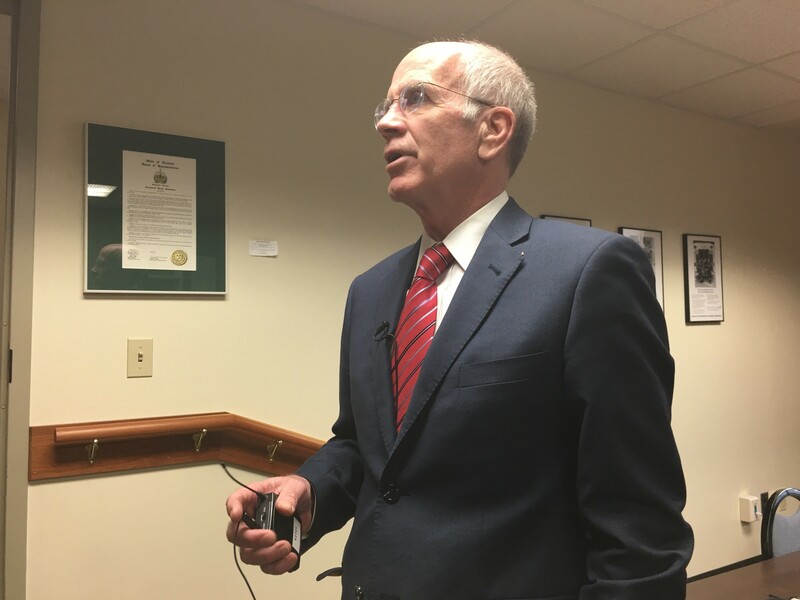 Welch and Cummings have introduced the same legislation for eight years, and always run into what Welch called a “stone wall of resistance” from House Republicans. When Price was serving in Congress, he was one of those devout stonewallers. He has also faced ethical questions about some very profitable trades in health care stocks he made when he had access to inside information as a member of a key House subcommittee. It must have made Price a bit uncomfortable to hear his boss praising the idea. And Welch didn’t shy away from pointing out the discrepancy. At the end of the meeting, Trump handed Welch’s and Cummings’ bill to Secretary Price with instructions to provide an official response. One hopes that Price didn’t find a convenient shredder on his way out of the Oval Office.